GolfNorth, a Waterloo-based golf company partially owned by Research in Motion CEO Jim Balsillie, has acquired Paris Grand out of bankruptcy. The club was placed into receivership last year and a bidding process was undertaken around Christmas. 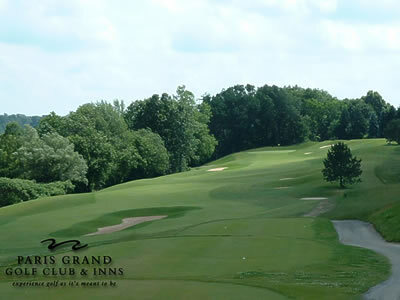 The final sale price wasn’t released, but GolfNorth will now add Paris Grand to its list of courses that include the Doug Carrick-designed Calerin. Interestingly, Ian Chan will take over as director of golf. Ian helped launch Bond Head last year but was caught in the purge when new GM Nigel Hollidge came in and cleaned house. Ian has a strong sense of the game and undoubtedly will help transform Paris Grand, which rests in a competitive golf market. In other news, in the worst kept secret in golf, The Muskoka Bay Club has announced that Jeff Boismier will come on as general manager, while Chris Goodman will take the role of superintendent. Both had worked at National Pines prior to its takeover by Clublink. Muskoka Bay is getting buzz as potentially the best new golf course to open since Eagles Nest a few years back. Now if they only had a decent website. Golf architect Ian Andrew has some neat images of Kawartha and Jasper on his website. He also details why Kawartha might be the best unknown golf course in Canada. At long last, a player stepped forward to say he could expose Tiger Woods as a false god. A player with multiple major titles. A figure with a platform and resume that reduces an amateur-hour trash talker like Stephen Ames to a credibility-free bore. age, 58, and his intention to stay in the NBC booth and out of the Ford Championship field. “I’m not so sure Tiger could beat me if I played my best game and he played his,” Miller said yesterday at Doral. Glad to see you stepping up on this one, Johnny. Now if only someone who can actually play Tiger will offer to take him on. Oh yeah, that was Chad Campbell. Miller’s full remarks are here. SI’s Alan Shipnuck, one of my favourite golf writers, comes up with his typical clever approach to dull pre-tournament stories with his “premature Masters preview.” Worth a read, though I still think Stuart Appleby has a better chance of winning a Masters than Shipnuck does. Three Ians in one entry. Impressive.